One night in 1820s Tasmania, Clare, a young Irish convict, loses everything she holds dear after her family is horrifically attacked. She's immediately driven to track down and seek revenge against the British officer who oversaw the horror, so she enlists the service of an Aboriginal tracker named Billy. Marked by trauma from his own violence-filled past, Billy reluctantly agrees to take her through the interior of Tasmania. On this brutal quest for blood, Clare gets much more than she bargained for. 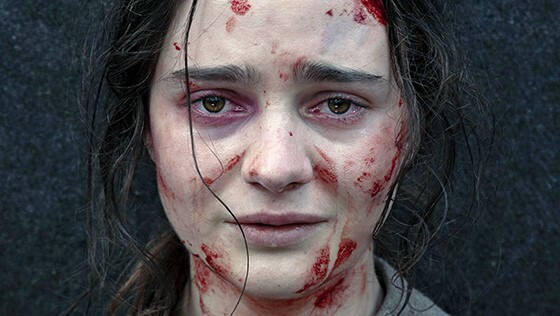 A snarling Aisling Franciosi drives this merciless revenge thriller through the unforgiving land of 19th-century Tasmania, a time when British colonists nearly decimated Aboriginal Tasmanians. With horrors around every corner, Jennifer Kent's new nightmare will traumatize the weak of heart, but those willing will discover a majestic achievement most striking in its haunting moments of grace.